Last week we had lots of the latest new clubs arriving in our fitting room including the latest 915 range from Titleist and new Callaway Big Bertha irons and hybrids, having already fitted golfers for these new clubs I can wholeheartedly say that they perform very well! The Titleist 915 driver is the most forgiving driver they have made, in the past they may have been accused of making clubs that were too hard to use for the average golfer but this is certainly not the case with the 915 driver which boasts 'Active Recoil Technology' that makes ball speeds extremely fast off the face even with shots that don't quite come off the centre of the club face. 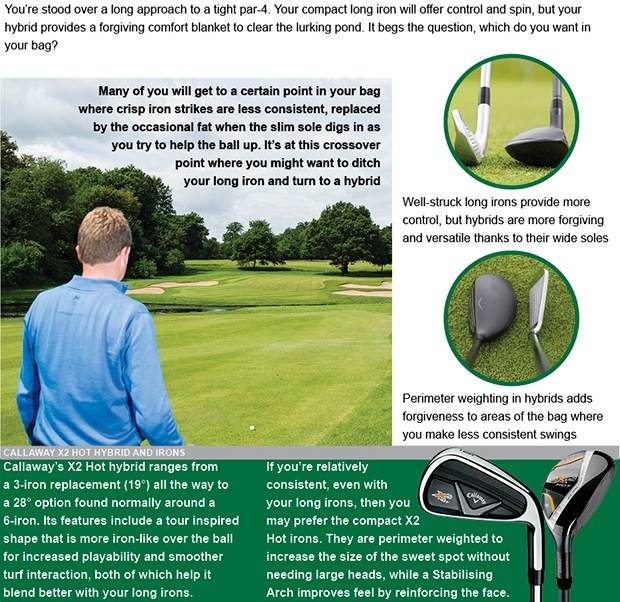 If you struggle with your driver this could well be the club for you! In terms of irons and hybrids we have also had delivery of the new Callaway Big Bertha line up, again having witnessed golfers hitting shots with these clubs I can say with certainty that they are extremely long whilst being very forgiving, we recently had a golfer in the fitting room that hit the new Big Bertha 7 iron 20 yards longer than his own 7 iron - a comfortable increase of 2 club lengths without having to change his swing! If you are interested in improving your golf through a club fitting please contact me now by clicking here. Our captain, Chris Bird, also presented a cheque to Jenny Bone on behalf of charity Tiny Steps, over the season our members have helped raise the fantastic amount of £4300 for this deserving local charity. Thank you to everyone that has contributed to such a great cause! Our Winter League has now commenced, as the first round took place the day after our presentation night there were definitely a few sore heads on the golf course which I think adversely affected some of our members scores! However one pair who didn't seem to be suffering with a hangover were Antony Green and Dave Johnson who scored a cracking total of 25 points over nine holes, they fired three birdies and six pars in a flawless round to claim first place. Taking second place were last years winners Julie Daines and James Eaton with 22 points and in third were Steve Nicholson and Patrick Scanlan also on 22 points. The next competition is the November Medal this Saturday, and the second round of the Winter League is scheduled for Sunday 9th November. The Seniors played an 18 hole Stableford on Tuesday and the weather was kind to them, Alan Phillips had a good day as he scored 40 points to gain his first victory of the season, in second was the ever consistent Alan Nevin with 37 points and third went to another consistent performer in Alan Tayler also on 37 points. Next week the seniors play a nine hole Stableford. The ladies played an 18 hole Greensomes competition on Thursday, this is always a tricky format but Elspeth Forbes and Joyce Graham handled it the best scoring a nett 73 including a birdie three on the fourth hole. Audrey Kettle and Sandra Peake took second place with a nett 76 and Alison Worrall and Collette Walling with nett 77. The next ladies competition is a nine hole Stableford on Thursday 6th November. Well done to the ladies who have advanced to the final of the Autumn Pairs - the match will involve Sandra Peake & Ann Rowland against Sarah Dee & Jean Clare. PGA professional Adam Powell hit some form last week as he played in the Liverpool Alliance at the Mere Golf and Country Club, he fired a fantastic seven birdies and one eagle in a seven under par score of 64 - his lowest round of the year, to take the first prize in the event. Considering that he has hardly played in the last few months and has had limited practice time this really was a great effort, he also took the pro-am first prize as he shot a better ball nett 59 with partner Sam Holliday. Adam's next competition is another Liverpool Alliance event at Houghwood on Thursday. Adrian took the chance to try out our new Nike Hyper Adapt waterproof trial jacket the other day whilst he was practicing, the new design allows a golfer complete freedom of movement throughout the swing. Adrian said it was easy to forget he even had the jacket on when hitting shots he also liked the quiet none rustle design of the fabric. 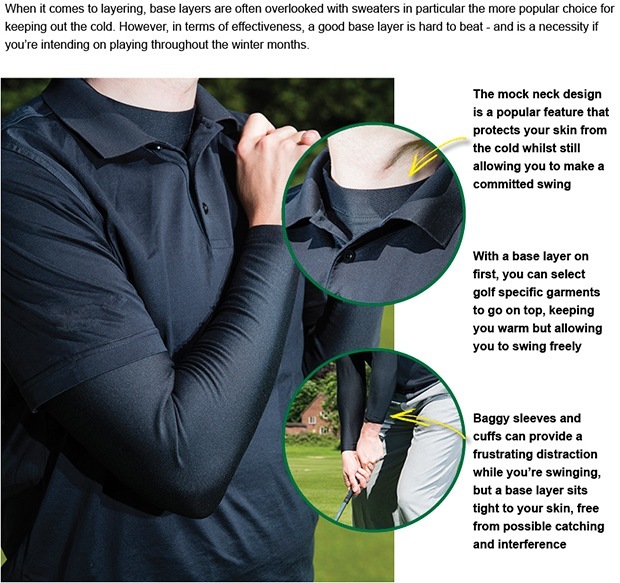 To show the freedom the jacket allows he hit shots both right and left handed, call in to the shop next time that you practice and give one of the trial jackets a go for yourself! Myself and Adrian were lucky enough to attend the launch event for the new TaylorMade RSI range of irons, they are launching new irons with not one but three 'speed slots' meaning that the clubs sweet spot is effectively expanded so shots that aren't struck from the middle still fly just about as far as a solid strike! 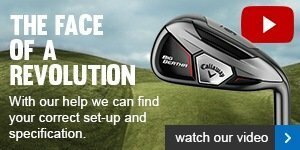 Through research they have found that 76% of shots hit by average golfers are not struck from the sweet spot of the iron so it is very important to have a club that will give you distance on off centre hits, the whole TaylorMade campaign about the RSI irons is based on the premise that 'mis-hits happen'. Adrian hit a few shots with the new clubs and you can see from the impact spots on the iron that even a good player does not strike every shot out of the middle. You can try them for yourself from mid November when we receive our demo clubs for fittings. 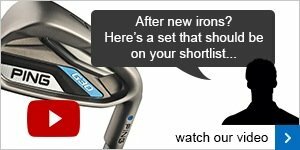 Click here to see the story behind these great new irons. We've had a clear out in the fitting room and we are selling off many of our ex demo clubs - there are drivers, fairway woods and hybrids in mens and ladies, as well as left hand clubs and with various shafts ranging from seniors to X-stiff, the clubs are all this years models from TaylorMade, Callaway, Nike, Titleist and PING. Some of the clubs have hardly been used and they come with headcovers and wrenches if needed, they are all priced around 50% less than RRP with prices starting at £79 and you can always try clubs on the range before you buy - but be quick as we sold quite a few last week and there aren't many left!